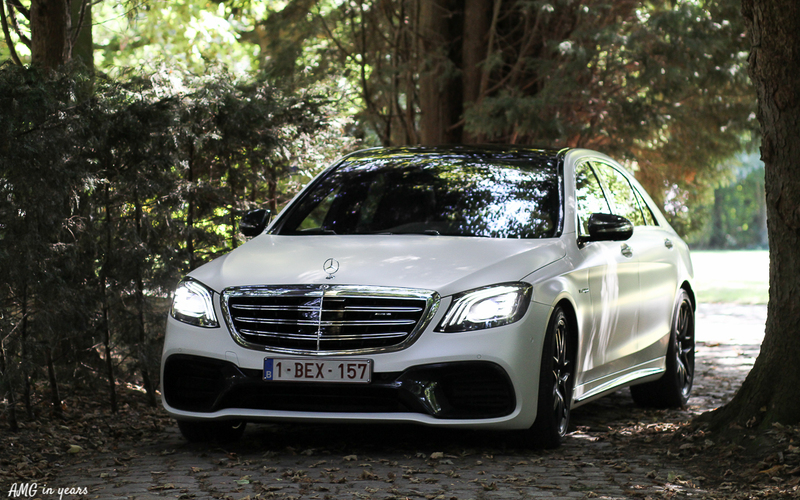 Each year Mercedes is selling almost 75.000 S-Class Limousines. Only a minor part is AMG powered. 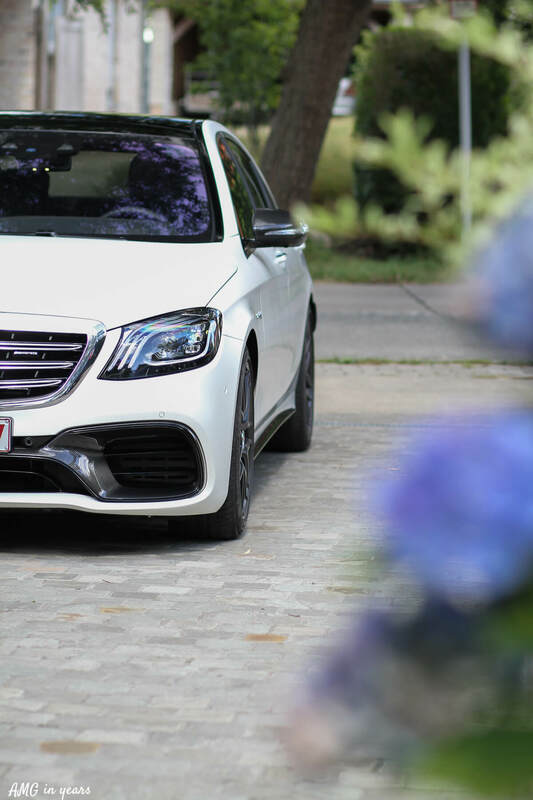 The S-Class traditionally focuses on transporting passengers in the best possible comfort from A to B, which is a bit in contrast with the striking AMG power of the 4 litre V8 AMG of the S 63. 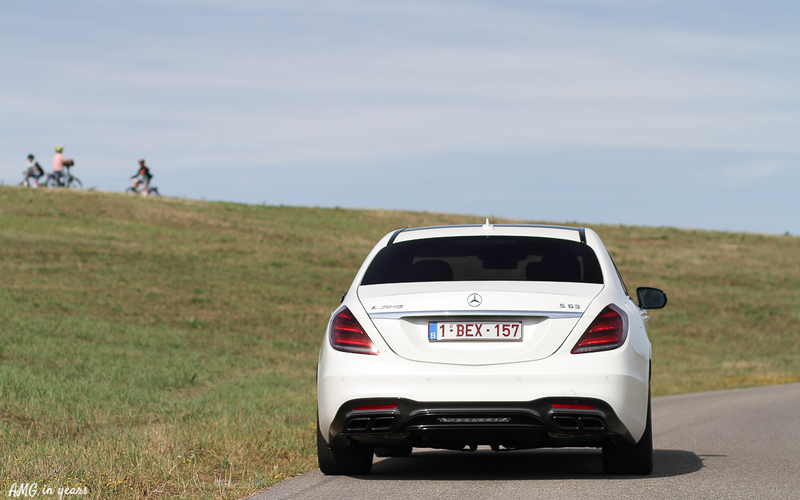 We found out the usefulness of an S-Class that goes from 0 to 100 km/h in just 3,5 seconds. I need to make a confession. I have a special band with S-Classes. During childhood I wasn’t playing with scale models of Ferrari’s but with a 1:43 diecast of a Mercedes S 500 W220. Trying to convince my brother that the S-Class was nothing else than the best car available on the market, and the foundation for all remarkable driving and safety technology. 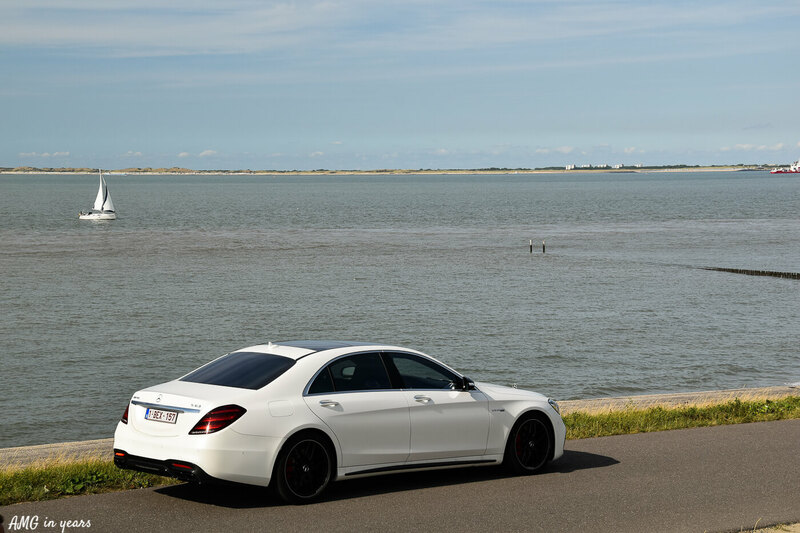 An introduction of a new S-Class has always been one of the highlights of the year. Two generations S-Class later, my love for S-Classes certainly hasn’t reduced. Difficult to explain why it gives me a smile-to-the-bird effect. When being in London, Paris, Geneva or Monaco the streets are full of S-Classes. 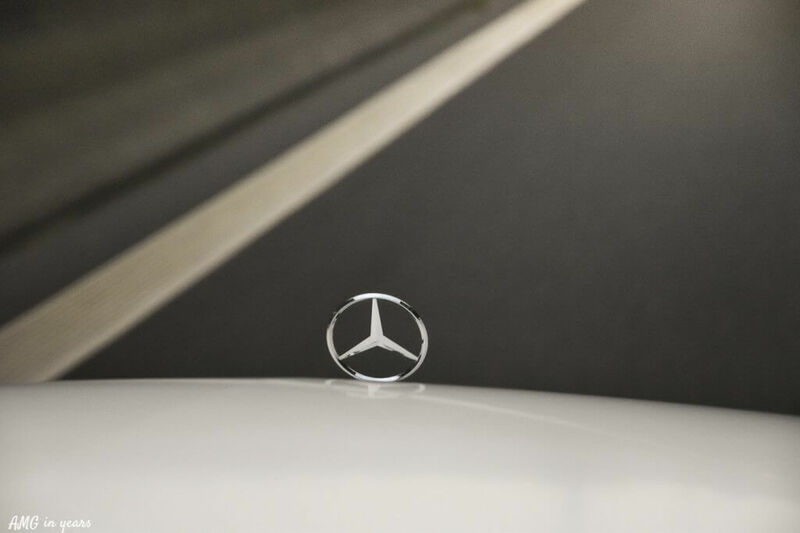 Success, wealth and quality are associated with S-Classes. 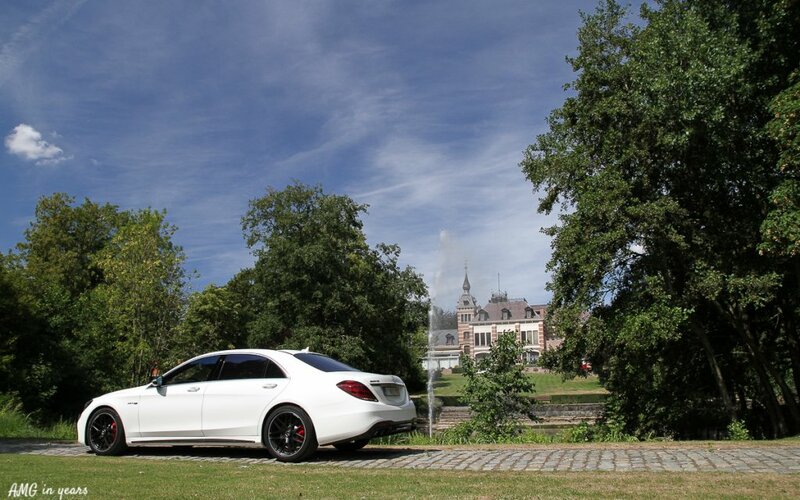 In a perfect world everybody would drive an S-Class. 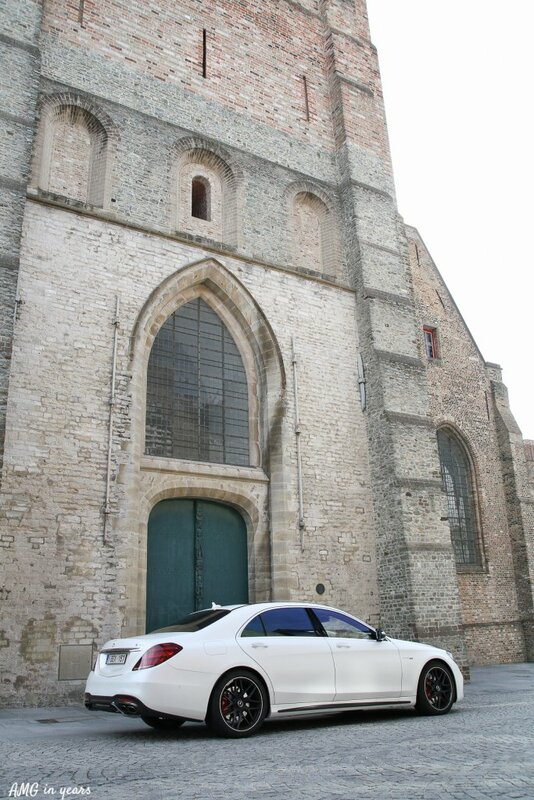 Luckily there’s still some competition in the air to bring the S-Class even to a higher level. 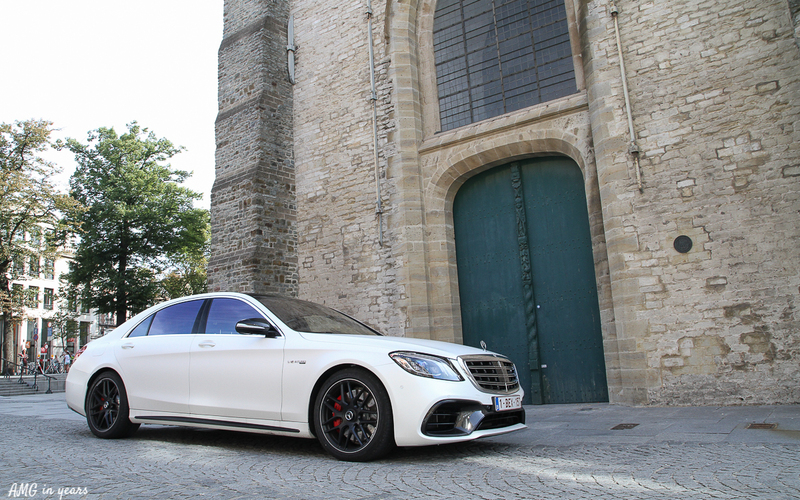 But what drove Mercedes to the long lasting marriage between the S-Class and AMG? 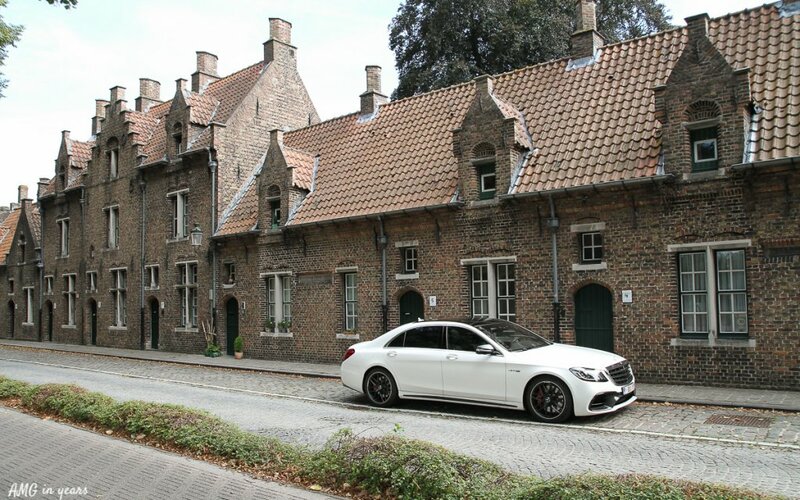 Well, actually in 1971 an S-Class with a 6,8 liter modified Mercedes V8 gave birth to AMG. The famous Rote Sau (Red Pig) was prepared for the 24 hours of Spa where it ended second overall. The motorsport world was shocked. Since then every single S-Class generation received several AMG treatments: 300 SEL 6.3 AMG W109, 450 SE/SEL 6.9 AMG W116, 560 SE/SEL AMG W126, S 60 AMG W140, S 73 AMG W140, S 55 AMG W/V220, S 63 AMG W/V220, S 65 AMG V220, S 63 AMG W/V221, S 65 AMG V221 up till the current S 63 and S 65 of the V222 generation. 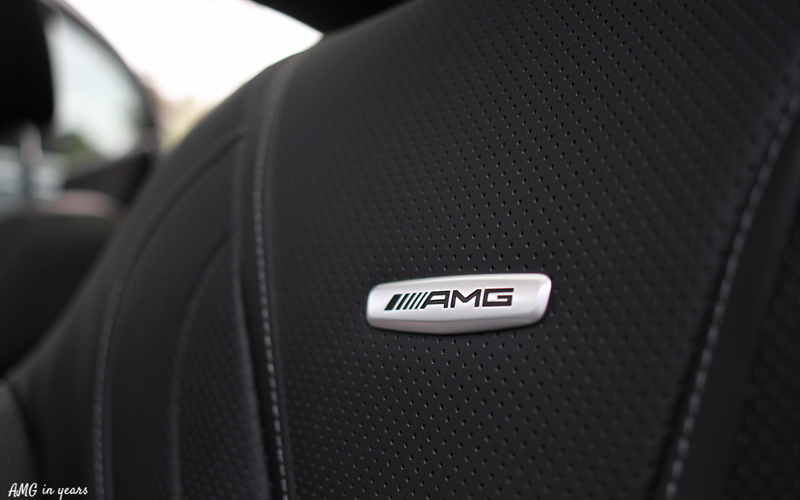 The current V220 AMG was introduced in 2013 and in 2017 the facelift entailed the switch from the M156 5,5 l V8 to the M177 4,0 l V8. 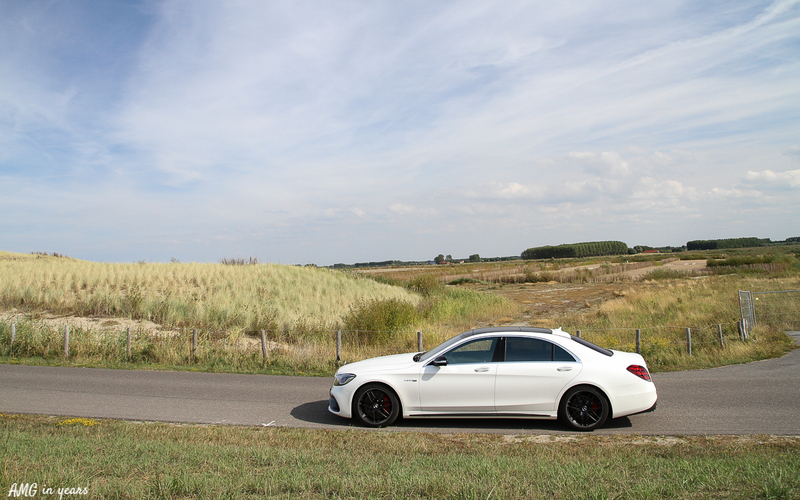 The same engine we know from the earlier tested E 63 S AMG. 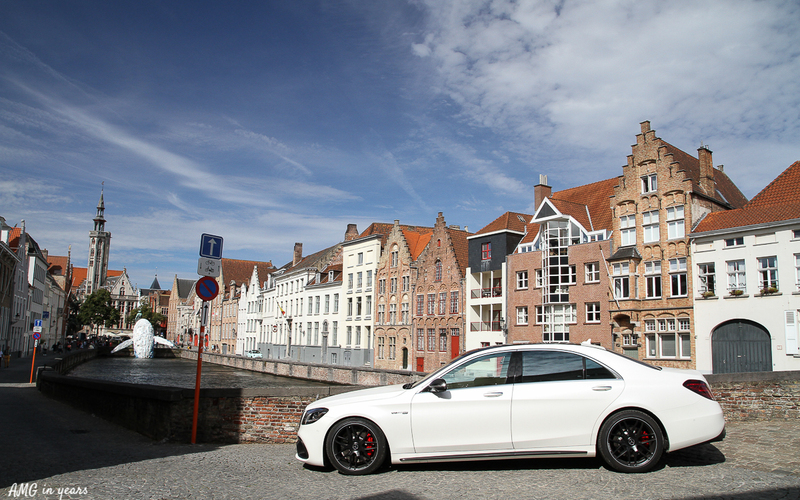 In contrast with the prefacelift 4MATIC+ comes as standard on the 63 AMG. 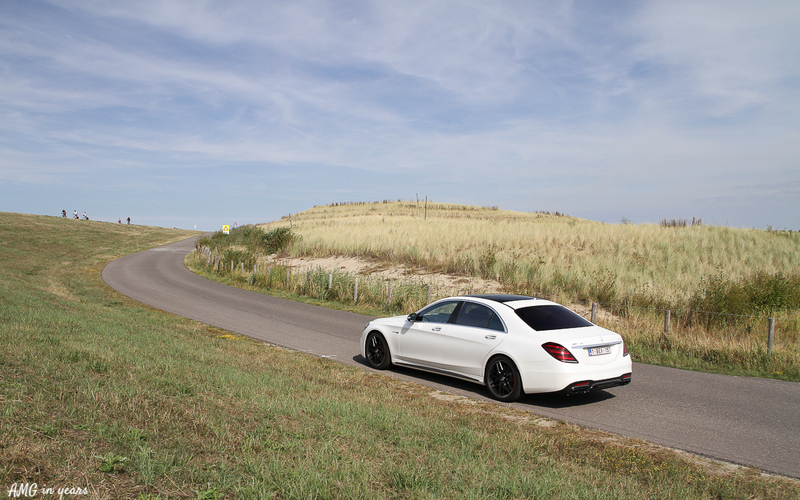 No worries if you would stick to rear wheel drive, the S 65 AMG puts it’s 630 hp from the V12 only on its rear wheels. 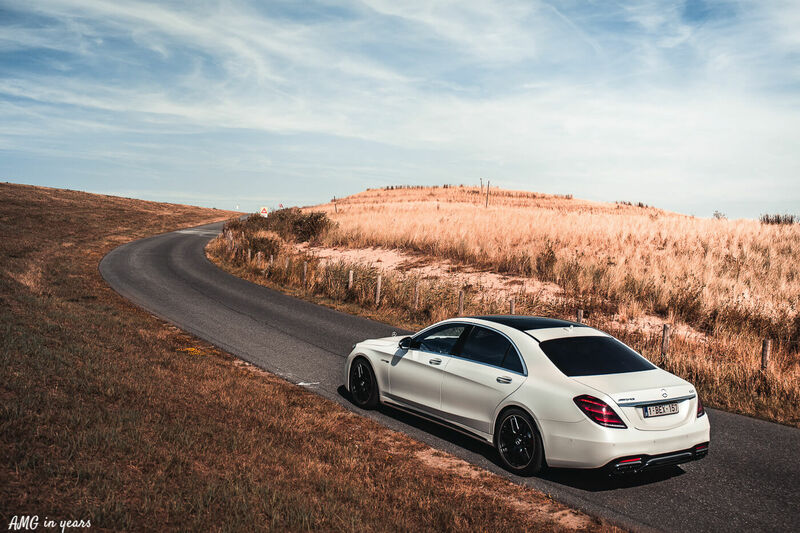 The higher engine output of the S 63 is possible thanks to microprocessor-controlled direct petrol injection, two twin-scroll exhaust-gas turbochargers (positioned within the V-shape of the cylinders) and 1,5 bar maximum boost pressure. Back to our testcar. 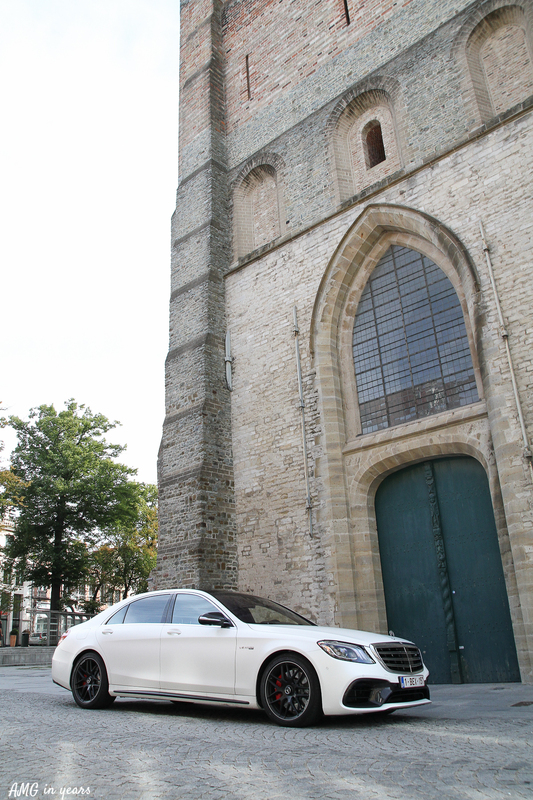 Driving a mat white long wheelbase S-Class with carbon fibre exterior package in Belgium feels a bit awkward. That’s the least you can say. 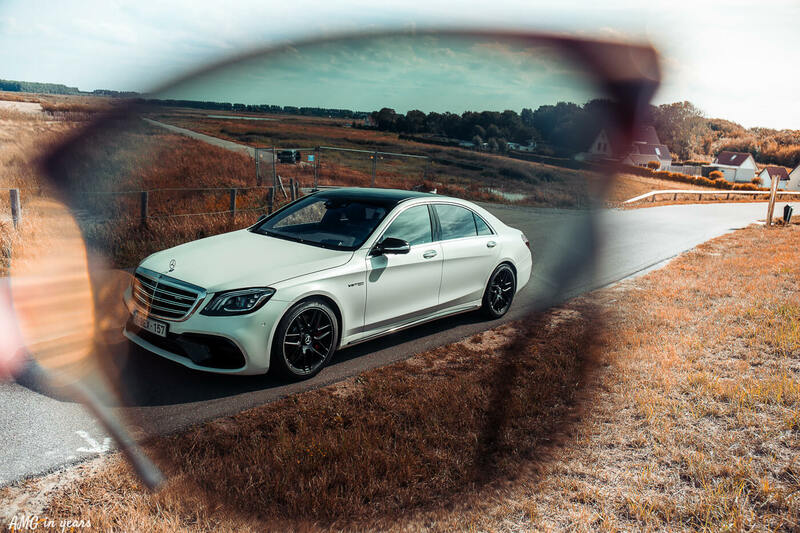 The eye catching spec fits better in settings like Miami beach, Monte Carlo or Las Vegas Boulevard. Not really a business friendly spec to visit customers in the more reserved Belgium. 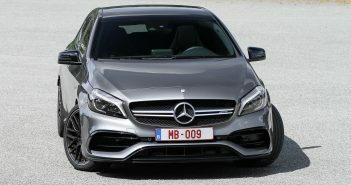 Because of a redesigned front bumper the front of the S-Class facelift looks a bit meaner than the prefacelift. Also the inner design of the front and rear lights is redesigned. 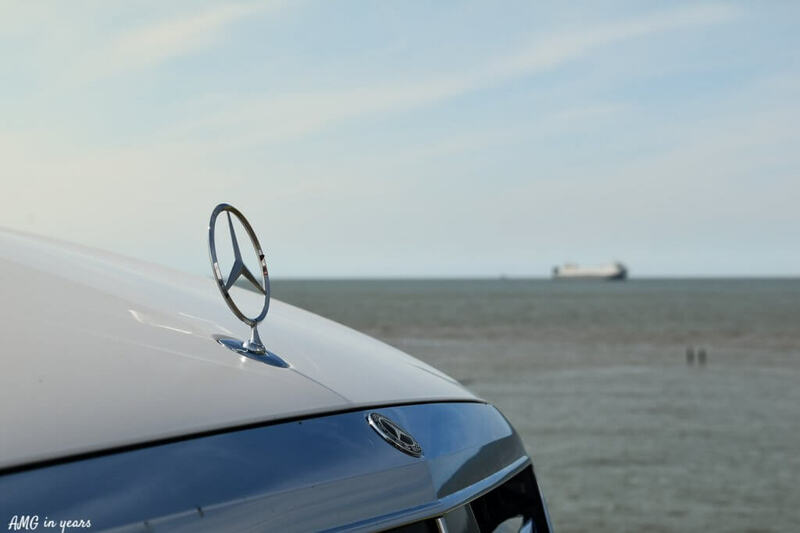 In the front the S-Class facelift can be recognised by three LED stripes, the rear light has now a crystal-like effect likewise other recent Mercedes models. 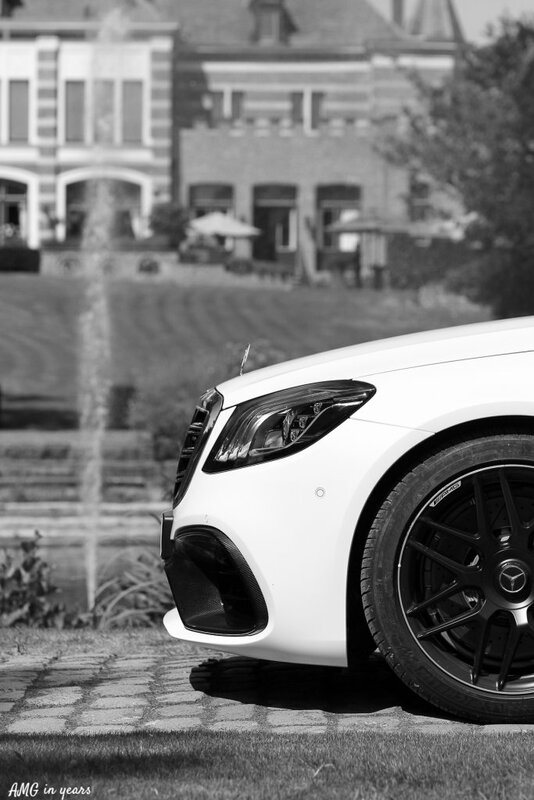 Like no other car, an S-Class has an unbeatable presence, without being toplofty. 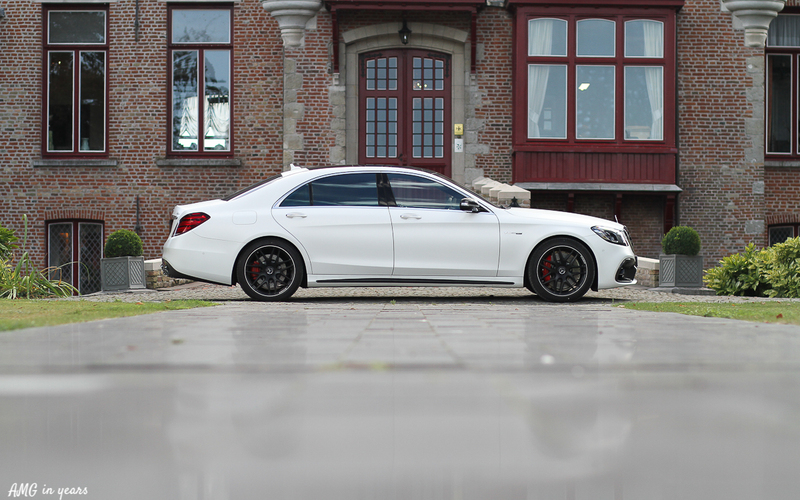 It requires some guts to configure the S 63 AMG as Designo Magno Cashmire white and black rims, but the whole forces respect. Not sure in what color I would take mine (as if that would be ever a relevant question), but Emerald Green Metallic would be high on the list. 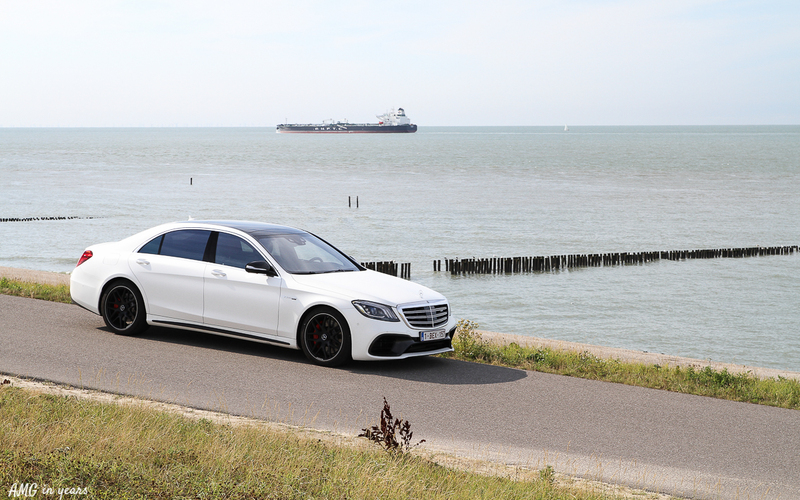 Additionally, entering or exiting the decadent S 63 as young chap creates some envy in public. In your face! ‘It’s not my car’ didn’t help always. Maybe difficult to believe, but this S 63 AMG is able to accelerate your heartbeat. 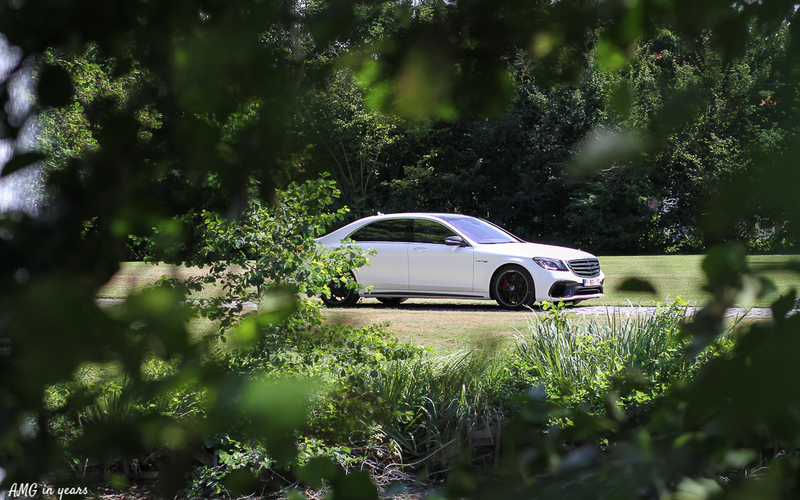 Even though the sense of speed is very low, there’s a certain level of excitement in the S 63 AMG. The acceleration power is just mindblowing. 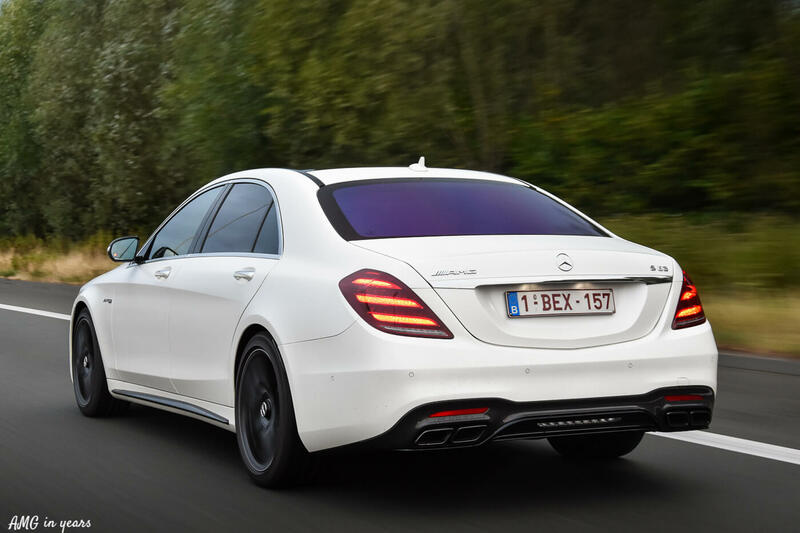 In just 3,5 seconds the S 63 AMG is hitting the (digital) 100 km/h mark from zero. 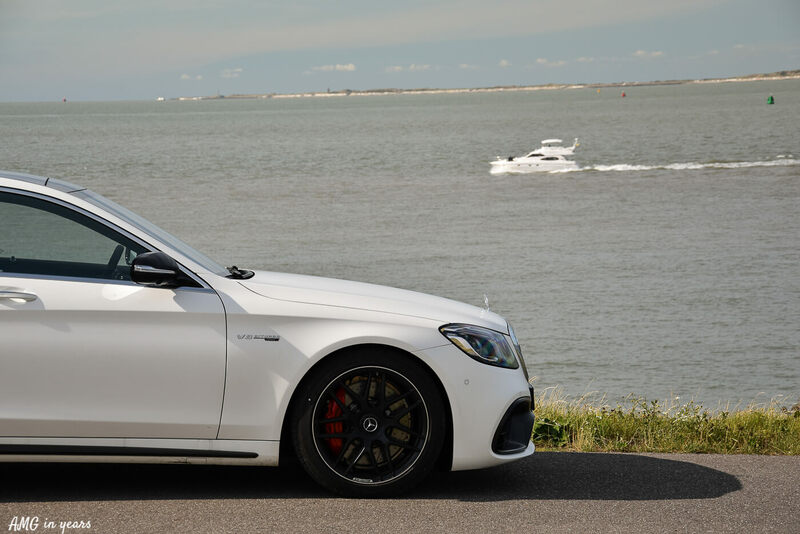 It’s the result of the combination of 4MATIC+, 612 hp and the automatic nine-gear AMG SPEEDSHIFT MCT (two gears extra versus the previous S 63). 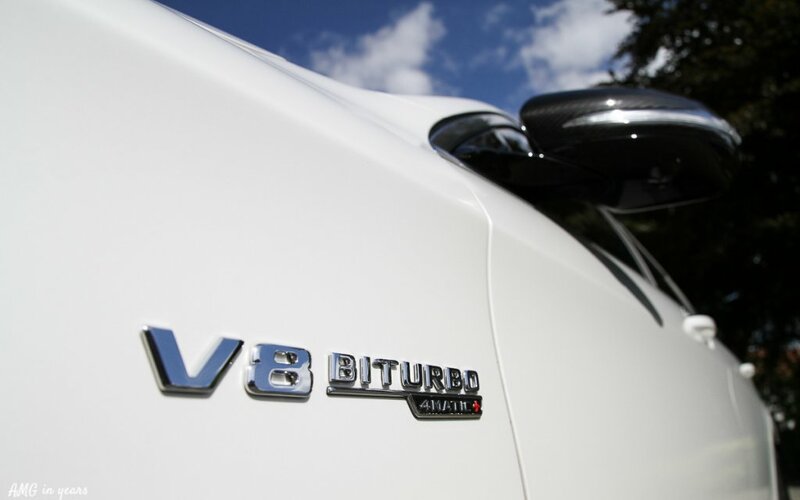 Noticeable are the short shifting times, multiple downshifts and a rev-matching function. There’s even a Race Start function (launch control) available on the S-Class. Madness. 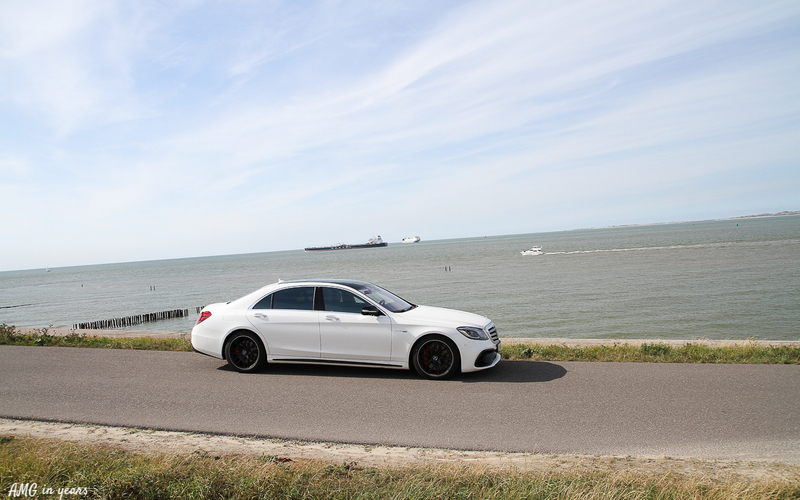 Next to that it’s remarkable how stable the S 63 remains during cornering. 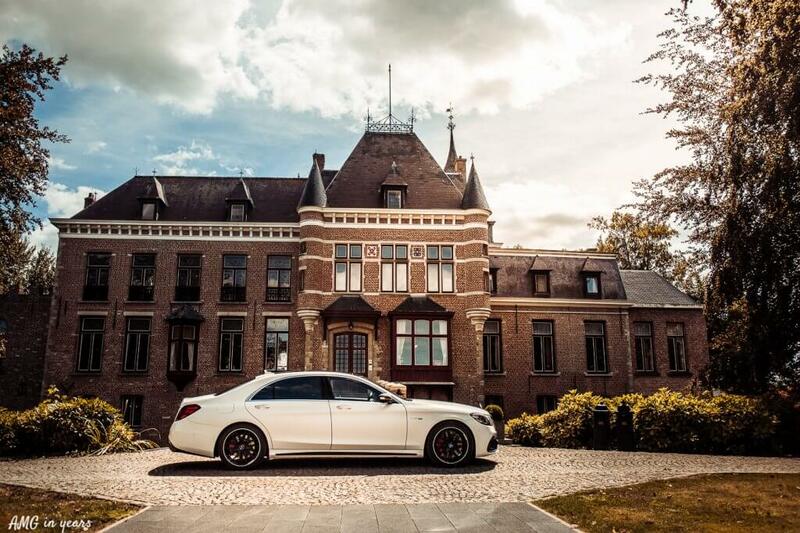 It doesn’t mean we want to claim that this S-Class doesn’t feel heavy. 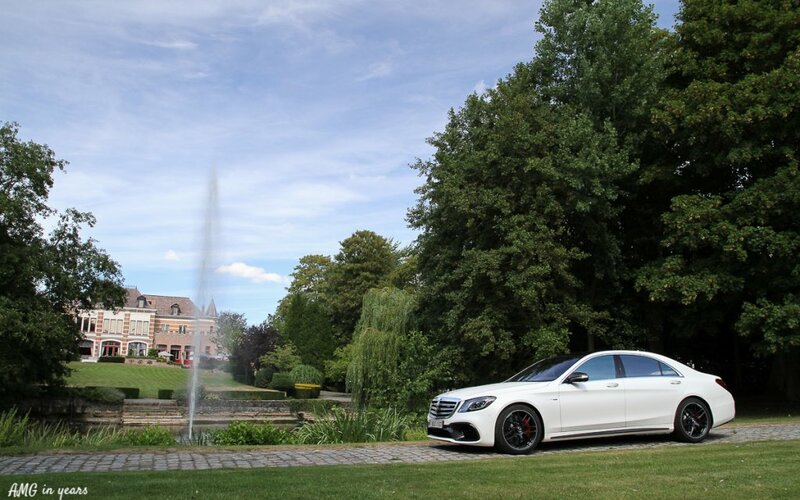 The settings of the airsuspension per wheel have been optimized for the S 63 AMG. 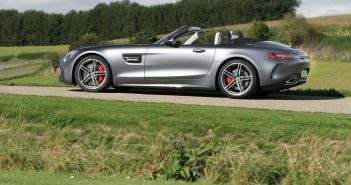 This AMG sports suspension based on AIRMATIC has adaptive damping. 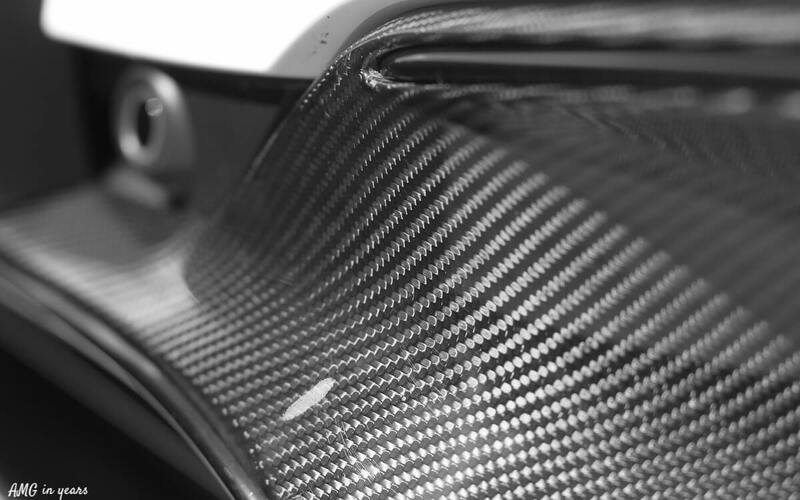 Hitting the pedal in Sport+ mode results in a direct push in the comfort seats. The torque convertor is replaced by a wet start-off clutch which saves weight and improves acceleration times. Magic Body Control is reserved for the S 65 AMG. 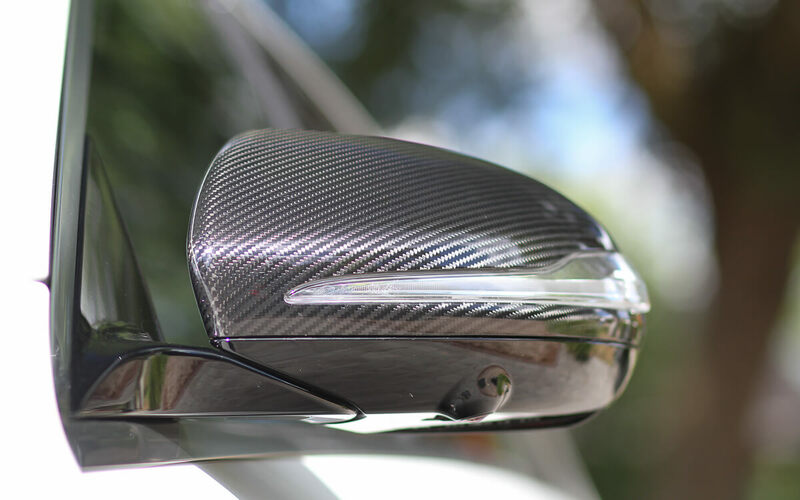 This curve-tilting function raises the inside of the body up to 2,65 degree in order to improve driving dynamics or comfort depending on the driving mode. The secret lays in the technology. 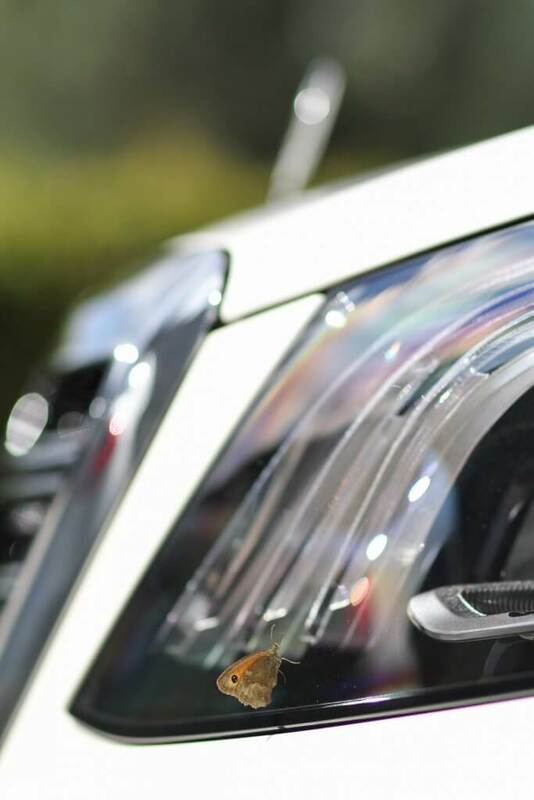 At the front there’s a four-link suspension, air springs, gas-assisted shock absorbers and adaptive adjustable damping, and at the rear a multi-link independent suspension, air springs, gas-assisted shock absorbers and adaptive adjustable damping as well. 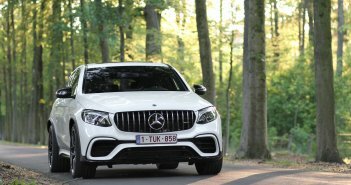 The 4MATIC+ permanent fourwheeldrive was already explained in the testdrive of the E 63 S AMG and more recently the GLC 63 S AMG. But in a nutshell: an electro-mechanically controlled clutch connects the permanently driven rear axle to the front axle with fully variable torque split. Enthusiasts will say that fuel consumption is not relevant for these kind of cars (and people who buy them), but we are yet 2018. Official numbers according to the NEDC conditions claim an average fuel consumption of 8,9 litre per 100 km. I’m convinced Mercedes forgot to mention a 1 before that number. If you’re really not touching the gas pedal as it should be, you are able to fall just under 11 l per 100 km during highway trajects. In any other case fuel consumption always exceeds 16 l per 100 km. A bit out of this world. Even an AMG GT R doesn’t consume that much. The weight of the car (just under 2 ton) explains the high fuel consumption. As bonus the M177 engine has a cylinder deactivation system in situations when less power is required. The deactivation of the four cylinders is not perceptible. Between 60 and 160 km/h the clutch disengages and the engine is decoupled from the powertrain if sailing conditions are detected. 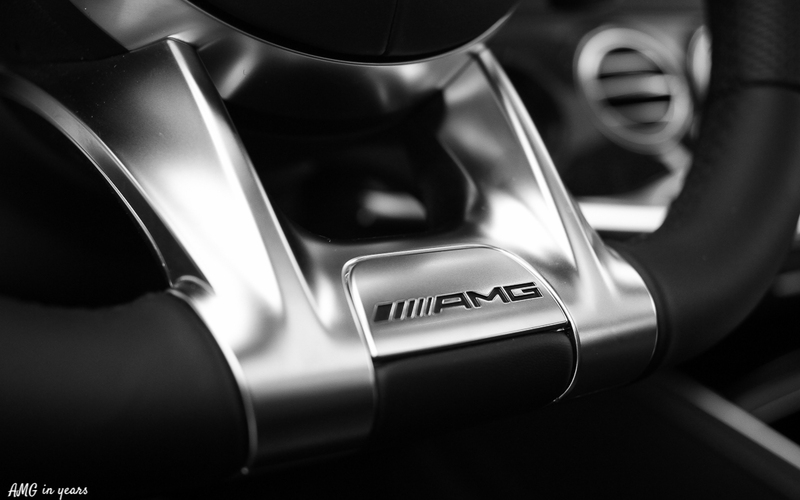 We can’t repeat enough that AMG is mastering engine and exhaust sound as no other. 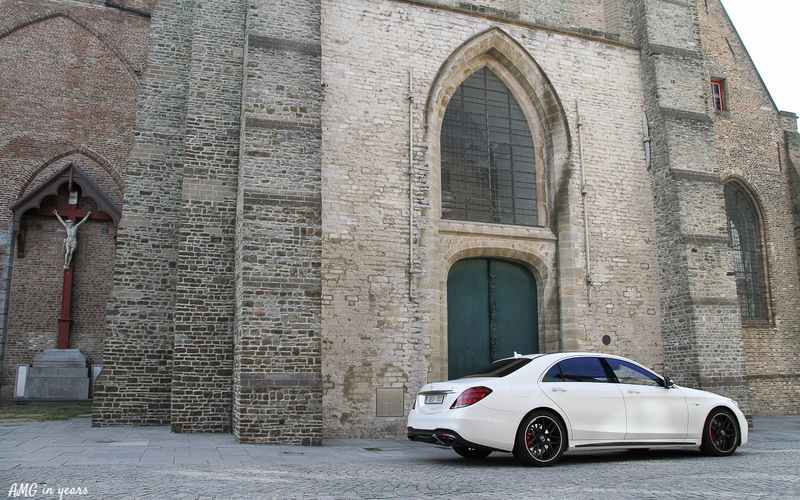 Even the classy S-Class AMG is equipped (standard) with the mean rattling AMG Performance Exhaust. Always active in Sport and Sport+ driving mode, and manually activatable in Comfort mode. It’s rather exciting. Will the exhaust plop or won’t it plop? Each driving mode (Comfort, Sport, Sport+ and Individual) modifies parameters such as the transmission, suspension, ESP, steering and response of the engine. The ESP can be even switched off, but during braking it is temporarly activated again. 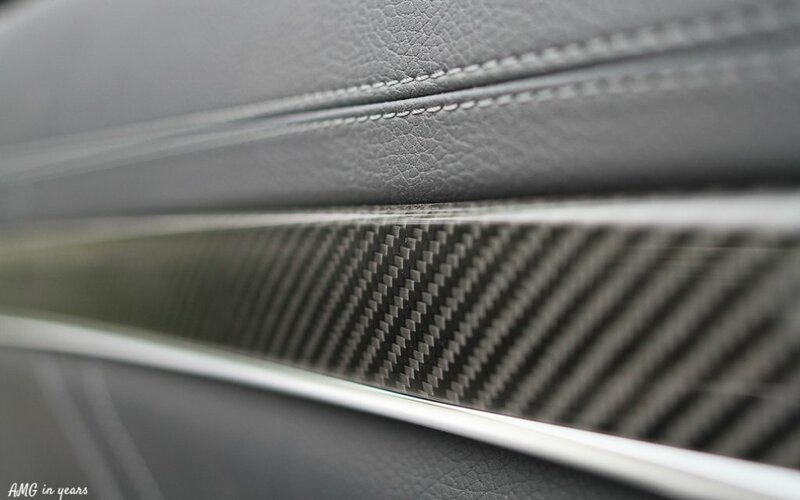 The second noise experience is the one produced by the Burmester surround system. 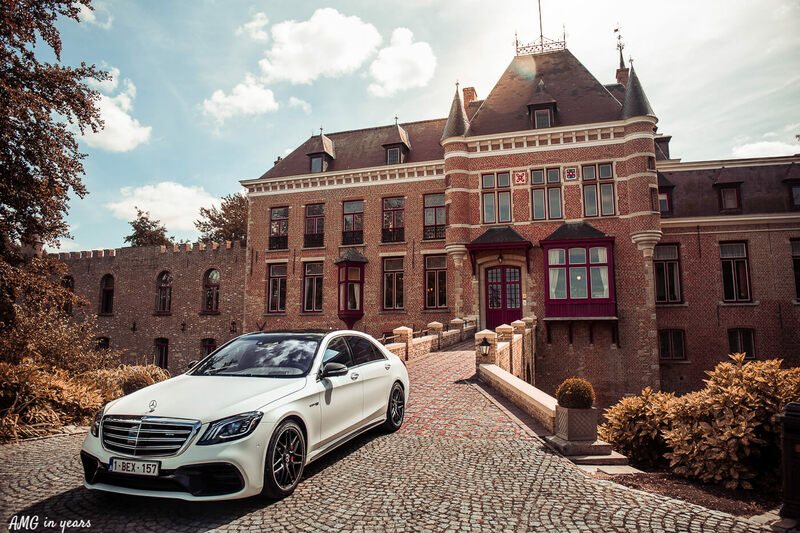 The S 63 testcar didn’t have the high-end Burmester system, but the system that comes standard is a direct attack on concert halls, city theaters or home cinema’s. As driver there’s the constant trade off you need to make between exhaust noise or refined/loud music. Tough life. 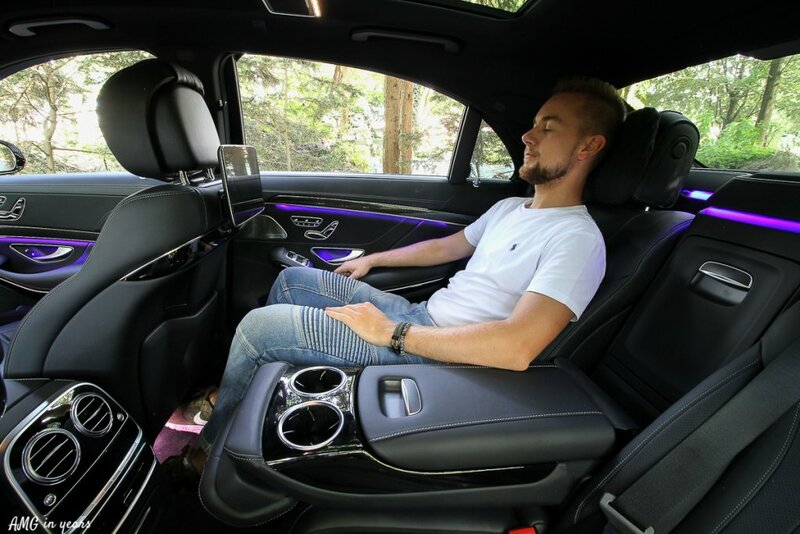 The best place in an S-Class remains the rear seats of which the headrests are the best piece. It’s so soft that we can’t imagine of which material it’s made. 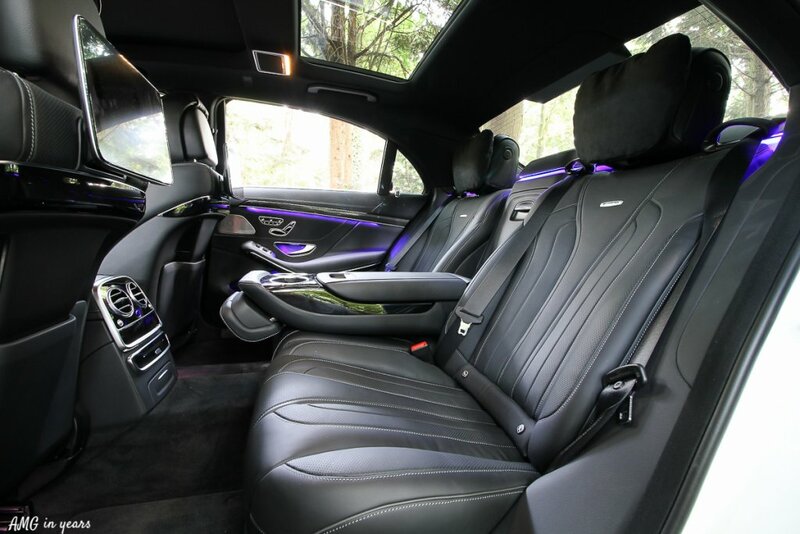 For S-Class AMG owners there’s the constant trade off between driving pleasure and comfort at the rear seats. It’s impossible to combine both because when the tempo is high, the rear passengers are really hurled into the interior, but let’s say that it’s part of the experience. 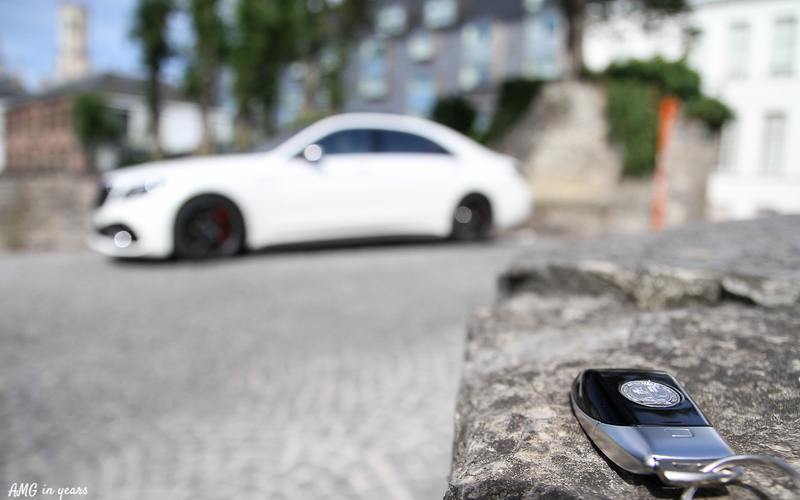 Mercedes has been through a remarkable evolution of steering wheels in the past ten years. 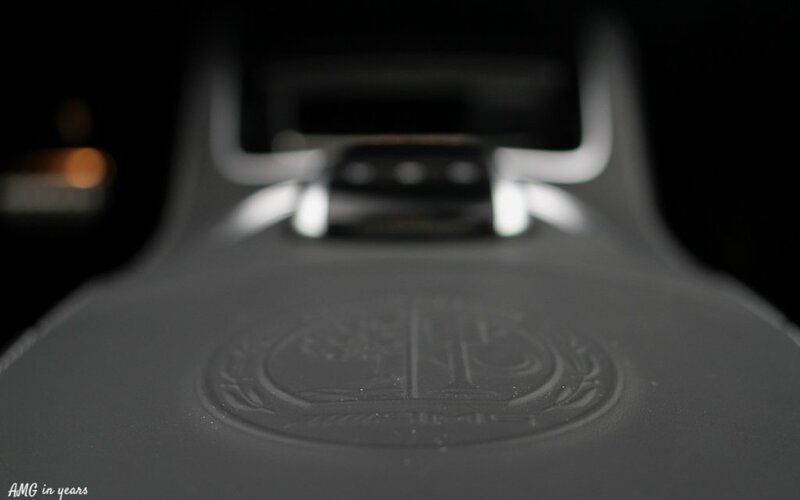 The current S-Class facelift has a beautiful nappa leather steering wheel with notable AMG inscription. ‘Behind’ the steering wheel we find electromechanical speed-sensitive power steering with toothed rack with variable ratio of 15.5:1 and variable steering power assistance. 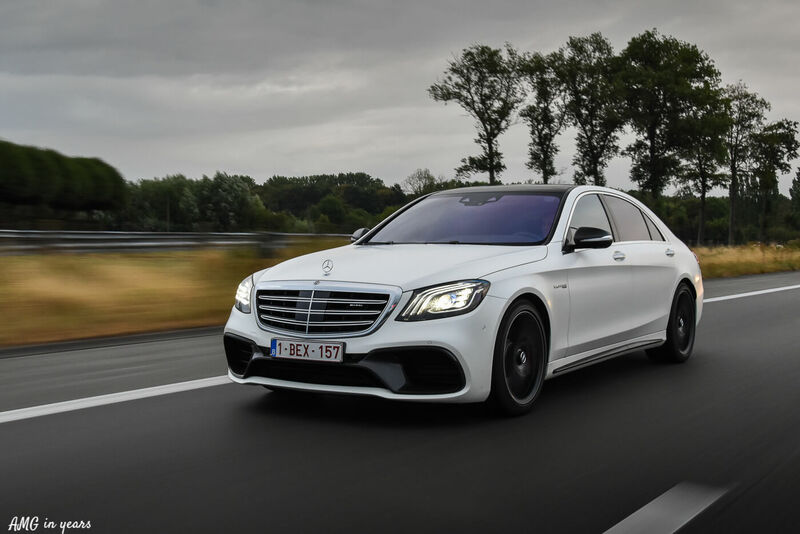 The standard equipment of the S 63 AMG 4MATIC+ is quite impressive, but that’s the least you can expect from a car that costs no less than € 172.000. 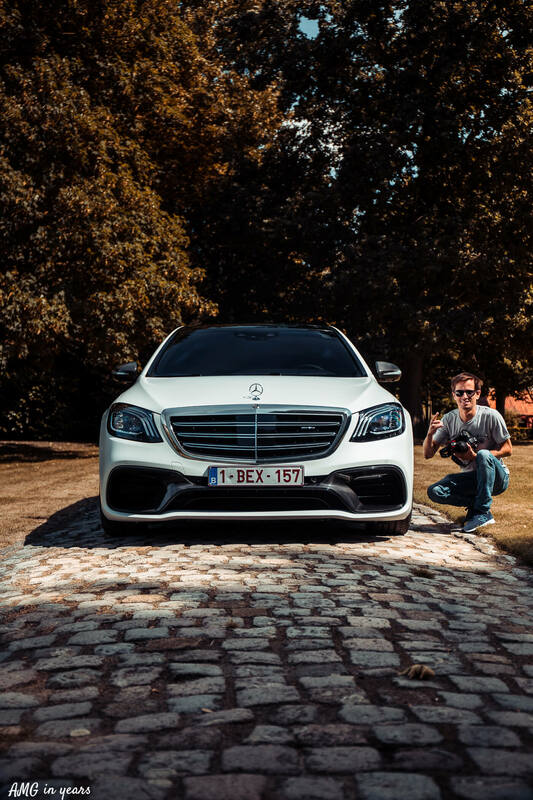 Overall our testcar was equipped with € 40.000 of useful and less useful options like the carbon exterior package and the AMG Driver’s Package. The bill can even be higher if you tick Magic Sky Control Sunroof, Ceramic Brakes and Night Vision (€ 15.000 for these three options). Big cars, big wallets. 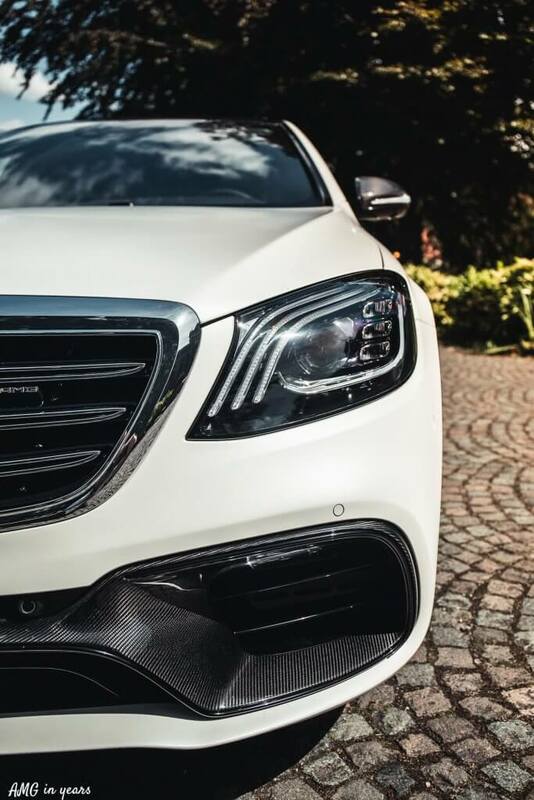 The S 63 AMG is much more than just a great piece of crackling. 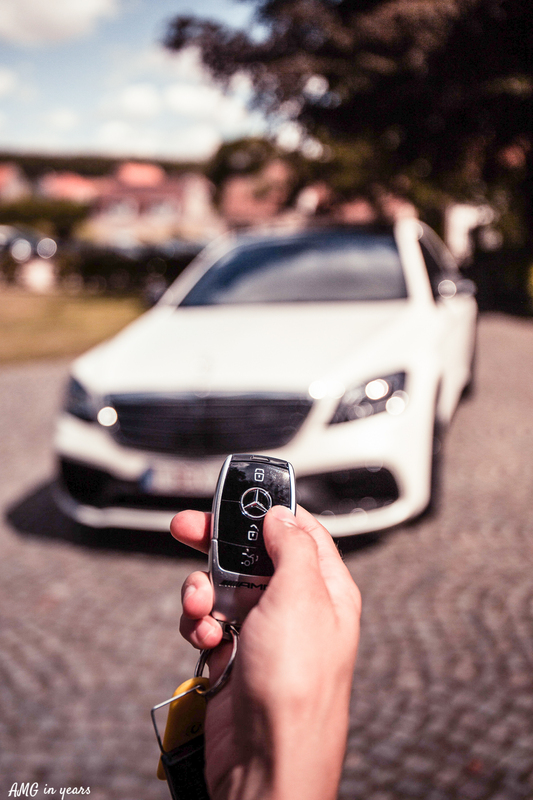 Every S-Class is by default extremely refined and well manufactured, but putting an AMG engine in an S-Class is like combining Nike sneakers with a tailor-made suit. In other words, it does fit in the right setting. 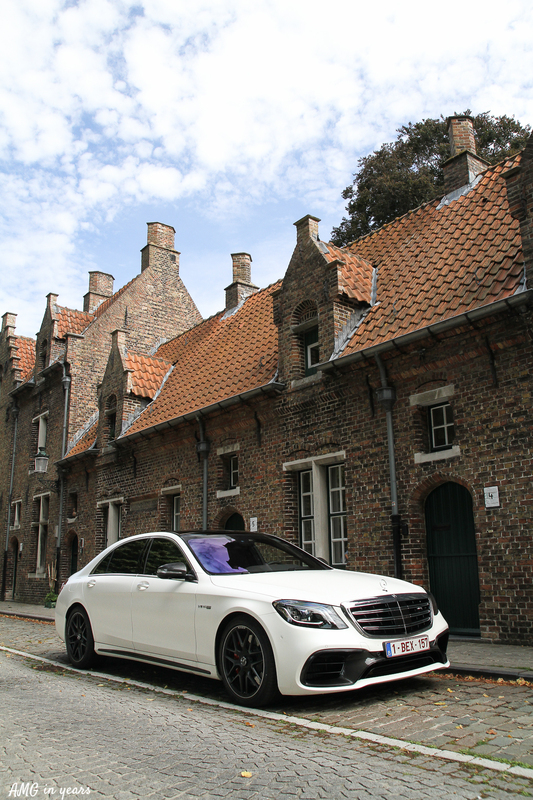 Even though the handling and performance is superb for a car of this size, the best thing about this S 63 AMG is the sound and the fact that you can take it easy as well. 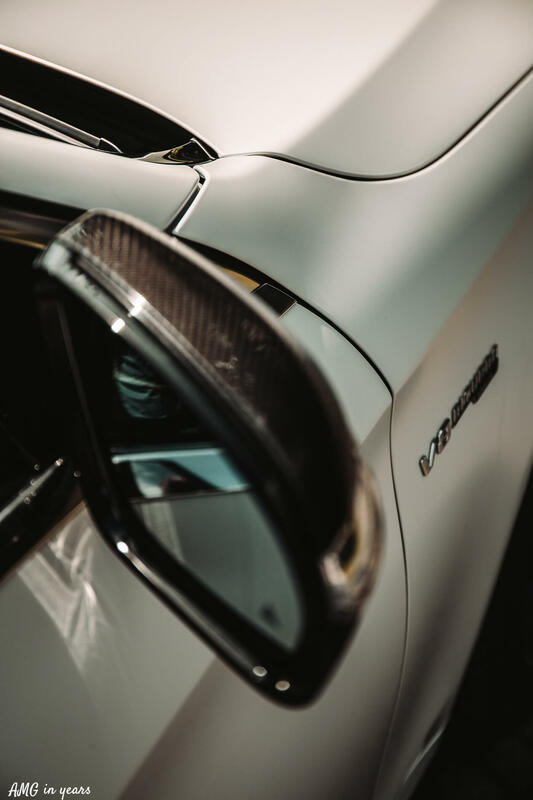 And if you’re still missing something (we can’t imagine what), there’s still the AMG Performance Studio to fulfill your deepest requests. Special thanks to Mercedes-Benz Belgium and also to Jordi Scheyving and Jelle Anseeuw for some of the pictures.